On July 18-21, Miratech held the Miratech M-Force 2013 event in Kyiv. For this conference, Miratech invited its clients, partners, and vendors from Norway, Russia, Switzerland, the U.K., and the U.S.
Miratech organized a series of presentations and workshops at its Kyiv delivery headquarters. During his speech, company CEO Valeriy Kutsyy emphasized that Miratech’s partner network is a major priority for its business development. Today most of our revenues are generated without partners’ involvement. By 2017 we expect that around 30% of total Miratech sales is originated with partners. To fulfill this ambition we expect up to 70-80% of new customer deals made with engagement of partners. Another focus of the conference was customer testimonials. One of Miratech’s major clients, Matt Stocker from Genesys, told about 13 years of experience working with Miratech, a relationship that started with a team of three engineers and has grown to 100. During their stay in Ukraine, all guests were acquainted with Ukrainian traditions and national cuisine. They also took part in a yacht trip along the river Dnipro, and participated in Miratech’s largest annual corporate event, the Miratech birthday party. M-Force 2013 provided a great opportunity for partners to learn more about the company’s strategy, services, goals, and vision for the future. Miratech’s Director for Business Development in the U.S., Stewart Christ, said, "I was very pleased to attend my first M-Force event as the U.S. country manager. My role is to establish and facilitate Miratech’s U.S. partner community. M-Force was invaluable in terms of networking with the global network, and planning our future!" 09.30 a.m. – 09:40 a.m.
09:40 a.m. – 09:50 a.m.
09:50 a.m. – 10:25 a.m.
13:00 p.m. – 14:00 p. m.
14:00 p.m. – 15:00 p.m.
10:00 a.m. – 13:00 p.m.
17:30 p.m. – 23:00 p.m.
Kyiv is the capital of Ukraine with a population of about 3 million citizens. It is situated on the Dnipro River and boasts architectural monuments that are recognized world treasures. 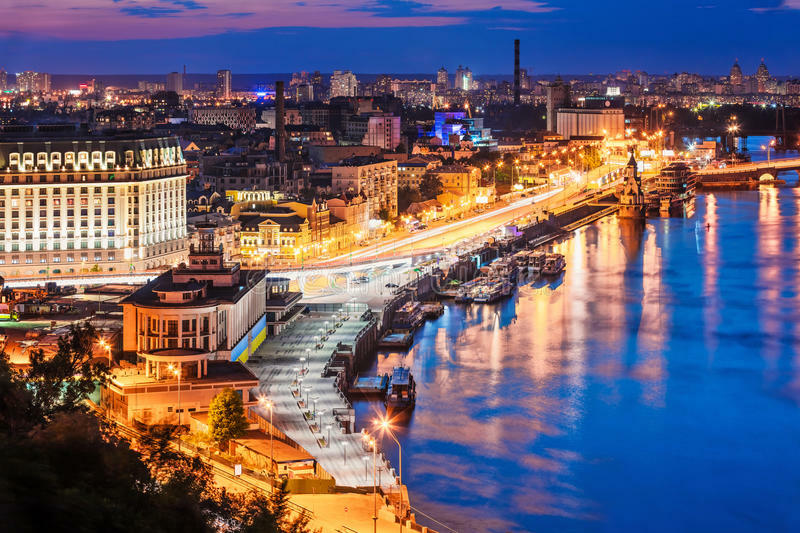 Kyiv is the largest cultural, scientific and industrial center of Ukraine, a destination for religious pilgrimage and a very popular tourist attraction. Its beautiful landscapes, parks and gardens charm and captivate. Hospitable Ukrainians will be delighted to introduce Slavic culture to their guests from around the world. Kyiv has much to offer to its visitors. It is among the largest European cities, but it is not as familiar to most foreign guests as are London, Paris, Moscow and other world tourist centers. It has afascinating history, developed industry, high-level education and advanced science. Those who visit Kyiv for the first time fall in love with this charming city and return over and over again to discover all of its attractions. Start your acquaintance with Kyivduring your M-Force visit!. 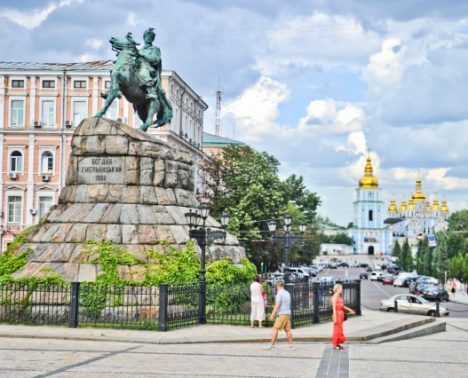 Kyiv boasts a long and glorious history full of heroic deeds. It is called "the mother of Slavic cities" by right. The golden age of Kyiv falls in the 11th-12th centuries, when Kyiv Rus was a powerful state, and the center of trading roads between the Baltic and the Mediterranean. For long centuries Kyiv was badly damaged and looted, but the city has survived and still amazes with itssubtlely and beauty. In May 2103 Miratech Delivery Headquarters moved into a new Premium Business Center to accommodate its expanding team. The new Miratech office provides a safe, healthy, productive work environment for employees. It includes the latest in green technologies: an energy-efficient lighting system, motion-driven water saving technology, reduced paper use, eco-friendly furniture made from 100% recycled materials, and environmentally friendly building materials, including non-toxic paints and eco-friendly flooring. The new facility offersimproved air quality, a climate control system, and an open-concept floor plan. For employees’ convenience, it has a well-equipped gym, a food court, showers, and other services. The new office also has special facilities for disabled persons as well as daycare for working mothers. With this special room, mothers have an opportunity to continue their child care at work by keeping kids close. Additionally, the new building has a park area nearby, and multiple amenities including cafés, restaurants, a bank, and a fitness center. 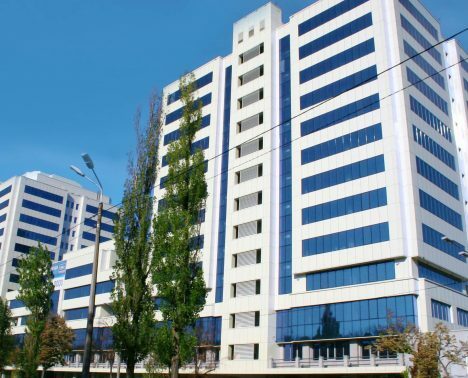 The Company’s new premises provide easy and convenient access for clients, business partners, and employees, with two major highways—Pobedy Avenue and Komarova Avenue—nearby. We are now closer to our talent pool due to the location in the intellectual center of the city, and we are near three national technical universities. The luxurious hotel Premier Palace in Kyiv is housed in an impressive palace of the early 20th century.. In the individually and elegantly decorated rooms and themed suites, you will find all modern comforts including free Wi-Fi and a flat screen TV. 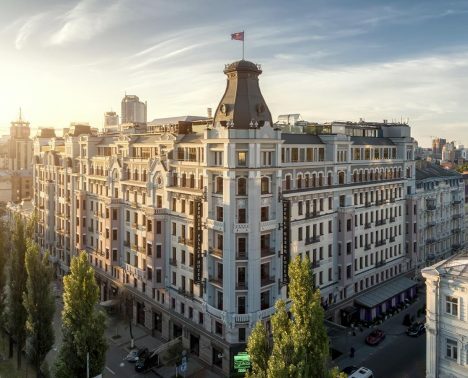 Premier Palace Hotel’s health complex includes a Finnish sauna, Turkish and Russian baths, a solarium, a weight-lifting room full of the latest equipment, an aerobics room, and massage rooms. But what merits the most attention is the pool with its glass dome, water amusements, and hydro-massage. Right next to the pool in the Fitness Club is the Laguna Fitness Bar, where you can try vitamin cocktails and a fitness menu. Terracotta Restaurant is an exquisite place serving Mediterranean food. At this restaurant, the chef’s creations are simply fantastic. The menu offers the best of Italy, Spain, France, Greece, Morocco, Tunisia, Egypt and Turkey dishes. Wolkonsky Patisserie sells delicious breads, wonderful pastries, buns and cakes. The Wolkonsky-Kayser Café serves French food in an elegant setting. Atmosfera Restaurant offers panoramic views over historical Kyiv. It is located on the rooftop terrace and offers a seasonal menu accompanied by an exciting musical program. Sumosan Restaurant offers modern Japanese cuisine. It is located on the first floor and has an exceptional interior, and serves the best Japanese cuisine in Kyiv. This restaurant serves unique dishes (both traditional and contemporary), Teppan shows, and offers 3 VIP rooms and a summer terrace. Before or after dinner guests can relax and enjoy a refreshing drink at the lobby bar, executive lounge or visit the Laguna Vitamin Bar for a vitamin cocktail.